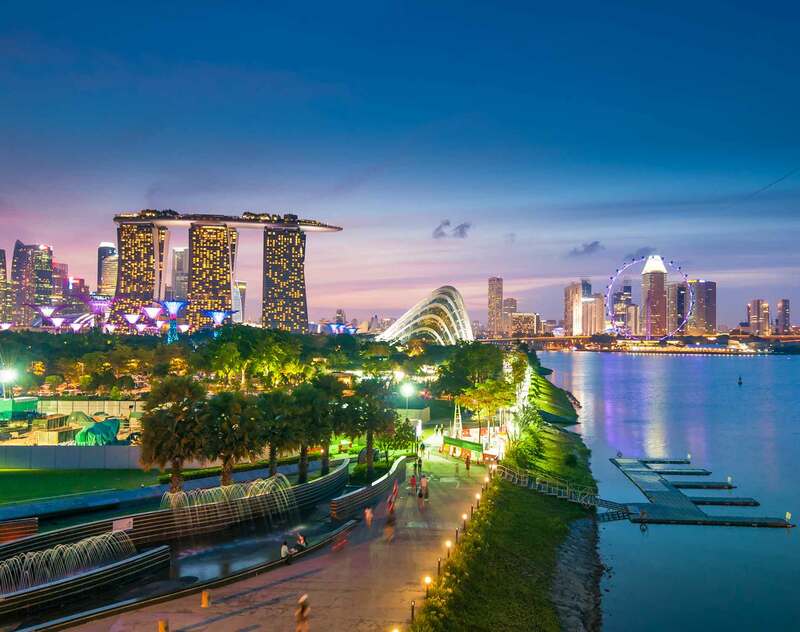 The Singapore government is proposing a new section 105A to the Land Titles Act1 (LTA) that specifically empowers the courts to vary or extinguish easements over registered land in certain additional circumstances. When passed, section 105A will have a significant impact on the law of easements in Singapore. An easement is a right enjoyed by a land owner (referred to as the dominant tenement) over the land of another (referred to as the servient tenement) such as a right of way. when the easement has been abandoned (section 106(1)(c)). None of the prescribed ways provide for an easement to be extinguished if the dominant or servient land is redeveloped, or if the use or character or circumstances of the dominant or servient land has changed through the passage of time. There is also no provision allowing an easement to be varied or modified. If a servient owner wishes to vary or modify an easement, then one option would be to get the dominant owner to agree to the proposed modification, and “after reaching agreement… apply for release of the existing easement under section 105, and subsequently register the new modified easement under section 97” (see the case of Botanica Pte Ltd v. MCST No 2040  3 SLR 476 at ). While an easement “is part of a bundle of property rights belonging to a landowner”2 and should therefore not be lightly trifled with, the law of easements as it presently stands is unsatisfactory and can sometimes be at odds with land scarce Singapore3 . It also allows a dominant owner to easily hold a servient owner hostage in the event the servient owner wishes to maximise the use of the servient tenement by either extinguishing an easement which is never, or hardly ever, used by the dominant tenement (called obsolete easement); or varying the easement. For example, the servient owner has the option of cancelling an obsolete easement under section 106(1)(c) of the LTA by furnishing to the Registrar of Land Titles evidence of non-user of the easement for a period exceeding 12 years. However, the Registrar will only be able to proceed to cancel the easement if no objection is received from the dominant owner within one month from the date the Registrar serves the notice of the application on the dominant owner. So to hold the servient owner hostage, all that the dominant owner needs to do is to object to the application and the Registrar would be “precluded from taking any further action”4. Therefore, regardless of whether the easement has become obsolete, if the dominant owner is “unyielding or greedy or… simply too numerous to make a waiver a practical proposition (then) the burdens live on, and the burdened owner must comply or risk the consequences”5. The result is extremely unsatisfactory for servient owners as “the burden of an obsolete easement may continue on a title for many years after it has ceased to be of any value to the dominant owner”6. It is also an undesirable obstacle to redevelopment and maximising the land use in land scarce Singapore. Two seminal Court of Appeal cases in 2009 have made substantial inroads in mitigating the deficiencies referred to above. where the easement is no longer able to benefit the dominant tenement as a result of some supervening event. The Court of Appeal relied on the fact that the dominant tenement here had significantly changed in character (i.e. when the bungalow that was originally on the dominant tenement was demolished and redeveloped into Grange Heights condominium) and in nature (which was the drastic increase in the number of people using the easement i.e. from the occupiers of a single bungalow to all the occupiers of the condominium) in coming to its decision. This led the Court of Appeal to find that there was excessive use of the easement and the only way to prevent such excessive use was to extinguish the easement. It also led the Court of Appeal to find that the circumstances have changed so drastically since the date of the original grant (which was to give only the occupiers in the bungalow a right of way from the dominant tenement to Grange Road) that it would “offend common sense and reality” for it to hold that the easement still subsisted. The Court of Appeal accordingly held the easement to have been extinguished by frustration. The sheer novelty of the propositions in Lee Tat has opened it to criticism. Professor Tan Sook Yee, in her book Principles of Singapore Land Law, (Lexis Nexis, 3rd Ed, 2009), argues that the judgment is “controversial”, there being no concrete support for the propositions stated by the Court of Appeal. She also argues the manner in which easements can be extinguished for registered land are already exclusively set out under the LTA and it was not obvious which of the heads listed in the LTA the Court of Appeal relied on in coming to its decision. The second case is that of Pacific Rover Pte Ltd v. Yickvi Realty Pte Ltd  4 SLR(R) 951 (Yickvi). In this case, the only access from the dominant tenement to the main road was through a right of way over the servient tenement. This right of way cut across and divided the servient tenement into two lots. The developer Pacific Rover Pte Ltd wanted to maximise the use of the land by realigning the easement to one side so that the servient tenement was no longer divided into two lots but would become a single lot instead. After unsuccessful negotiations with the dominant owner, the developer applied to court for a declaration that the dominant owner would have no right to injunctive relief against it in respect of the proposed realignment (this is commonly known as an “anti-suit injunction”). This was a novel application as, prior to this case, no one in Singapore had ever attempted to vary an easement by applying to court to stop the dominant owner from preventing the easement from being varied. In granting the anti-suit injunction, the High Court reasoned that it is not “right to deny (the servient tenement) the full use of the Servient Land just because of (the dominant tenement’s) existing right of way when an alternative, which did not substantially affect the enjoyment of the right of way, was available”. On appeal, the Court of Appeal agreed with the High Court and held, amongst other things, that “because of the scarcity of land in Singapore, land should be allowed to be developed to its optimal potential as permitted by planning law and the claimant suffers no injury or inconvenience as a result”. This proposition is significant as it marks the first time such policy consideration has been expounded to deny the dominant owner from enforcing his full rights against the servient owner. The tide has begun to turn against dominant owners. The court may, on application by any person with an interest in a servient tenement, make an order to vary or extinguish wholly or in part the easement (including any implied easement) over the servient tenement. that the proposed variation or extinguishment will not substantially injure the persons entitled to the easement. a sum to make up for any effect which the easement had at the time when it was imposed in reducing the consideration then received for the land affected by it. An order made under subsection (1) shall not vary or extinguish wholly or in part an easement until an instrument in the approved form has been registered. Section 105A(2) is significant as it not only codifies the rationale set out in Lee Tat (i.e. varying or extinguishing an easement in view of the change of use or changes in the character of the affected land), it also expands the scope and rationale set out in Yickvi to include varying or extinguishing an easement in view of any other material circumstances the court considers material that would impede the development of the servient tenement without securing practical benefits to the dominant owner if the easement is left untouched. In the event a dominant owner is able to prove that he has suffered a loss or disadvantage, or that the value of the dominant tenement has been adversely affected, by the variation or extinguishment of the easement, then section 105A(3) empowers the court to award an appropriate compensation to the dominant owner. The tide has now shifted towards easing the law of easements in Singapore. The author wishes to acknowledge and thank Terence Wah for his contributions towards this article. 1Land Titles (Amendment) Bill, Bill No 4 of 2014, read the first time on 20 January 2014 and the second time on 17 February 2014. The bill was passed after the second reading on 17 February 2014. 2Prakash J in Frontfield Investments Holding Ltd v. MCST No 938  3 SLR 627 at . 3Land scarcity was mooted in parliament in 1966 as a valid response to arguments against compulsory acquisition (see Singapore Parliamentary Debates, Official Report (17 March 1967) vol 25 at col 1416) and later in 1998 in favour of en bloc sales (see Singapore Parliamentary Debates, Official Report (31 July 1998) vol 69 at col 601). 4John Baalman, The Singapore Torrens System (Being a Commentary on the Land Titles Ordinance 1956 of the State of Singapore) (The Government of the State of Singapore, 1961) at 177. 5Scottish Law Commission No 181, Report on Real Burden (October 2000) at [5.4]. 6John Baalman, The Singapore Torrens System (Being a Commentary on the Land Titles Ordinance 1956 of the State of Singapore) (The Government of the State of Singapore, 1961) at 176. 7New Zealand: Section 317 Property Law Act 2007; Australia: Section 89(1) Conveyancing Act 1919 (NSW); Canada: Section 35 Property Law Act (British Columbia) (RSBC 1996 c377); and Northern Ireland: Article 6(2)(a) Property (Northern Ireland) Order 1978. 8Tan Sook Yee et al, Tan Sook Yee’s Principles of Singapore Land Law, (Lexis Nexis, 3rd Ed, 2009) at [1.36].